Pensacola, Fla.— This vacation hotspot might be best known for its sugar-white beaches and turquoise water, but its postcard beauty belies a rich and diverse history. In the last 450 years, Pensacola has come under the sway of five different flags — Spanish, French, British, Confederate and American. Each wave of occupation brought new immigrants to Pensacola’s shores — all of whom contributed to the city’s cultural and ethnic milieu. Among the waves of settlers, soldiers and immigrants were many of African descent, who have helped define modern-day Pensacola. The historically black neighborhood came to prominence during the early 20th century, when segregation and mounting racial tension pushed the city’s black residents out of the city center. The neighborhood, clustered around the intersection of Belmont and DeVilliers streets, became a thriving commercial hub. It was also a prominent stop on the Chitlin’ Circuit — a network of mostly black-owned entertainment venues that sprung to life during segregation and nurtured the careers of some of the biggest names in American music such as B.B. King, Junior Parker, and Sam Cooke who found a welcomed home in the neighborhood’s theaters and clubs. In 2019, the 206th Mississippi Blues Marker was dedicated at the intersection of the two streets honoring the legacy of the blues and additionally recognizing the works of those in the neighborhood dedicated to fostering the growth and appreciation of the Blues including Gussie Streeter of Gussie’s Record Shop and Abe Pierce Sr., of Abe’s 506 and Savoy Ballroom. Daniel “Chappie” James was born in Pensacola in 1920, during the height of the Jim Crow era. His mother, Lillie James, ran a private school for black children out of her home in Pensacola’s Eastside neighborhood. From an early age, James knew the value of hard work and education — values that would serve him well later in life. James went on to become one of the famed “Tuskegee Airmen” during World War II, and later, the nation’s first black four-star general. Today, a memorial plaza stands on the site of James’ childhood home — along with the original concrete stoop, emblazoned with the words, “Chappie’s first steps.” The memorial is a palpable reminder of the strength and perseverance of Pensacola’s black community — even in the face of overwhelming odds. In 2018, Chappie’s childhood home was opened to the public as the Chappie James Museum of Pensacola. The home, recognized by the National Register of Historical places, showcases the life of Gen. Daniel “Chappie” James and features a year-round aviation experience for youth, tutoring and storytelling sessions. In the 1950s and 1960s, African Americans in segregated communities began sit-ins to protest “whites only" lunch counters in stores. At the corner of Palafox and Garden streets, once occupied by a Woolworth&apos;s five and dime store, members of Pensacola&apos;s NAACP Youth Council, some as young as 12 years old, took their stand against segregation by peacefully occupying lunch counter seats here and elsewhere in the city. Led by Rev. William C. Dobbins and the Pensacola Council of Ministers, the youth were trained in Dr. Martin Luther King Jr.&apos;s philosophy of non-violence. Confronted by hecklers, they were physically and verbally harassed and even arrested on falsified charges. The African American community raised bail money and support for the youth through rallies at churches all over Pensacola. 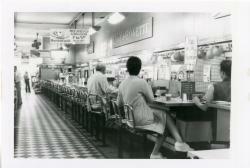 The battle to integrate the city&apos;s lunch counters lasted 707 days and involved non-violent tactics such as sit-ins, pickets, marches, and a selective buying campaign or boycott. Downtown stores lost 80% of their business because of the boycott, and lunch counters in the City of Pensacola integrated on March 12, 1962. Arguably one of the greatest composers and musicians of all time, Doctor Don Shirley was born in Pensacola on January 29,1927. A musical prodigy, Dr. Shirley was playing the organ at his father’s church, St. Cyprian’s Church in Pensacola, with great skill at just three years old. At the age of nine, Shirley was invited to study theory with Mittolovski at the famed Leningrad Conservatory of Music. Don would go on to debut in concert at the young age of 18, with the London Philharmonic Orchestra performing his first significant composition the following the year. Over his lifetime he went on to perform in countless venues, produce numerous musical works and more. Army Pvt. Rosamund Johnson, Jr.
Army Pvt. Rosamond Johnson Jr. was only 15 years old when he enlisted in the army and only 17 years old when he saved two soldiers in battle during the Korean War on July 26, 1950. While attempting to save a third, Johnson was killed, marking him as the first black soldier and first resident of Escambia County to be killed in the Korean War. At the time of his death, most Pensacola Bay Area beaches were not open to blacks except for one in Perdido Key. The beach was accordingly renamed in his honor and remains to this day a part of the Gulf Islands National Seashore. Today, as in the past, travelers have the opportunity to learn and participate in black history that has had a profound influence on the Pensacola Bay Area and its culture. To learn more about black history in the Pensacola Bay Area, visit www.visitpensacola.com.